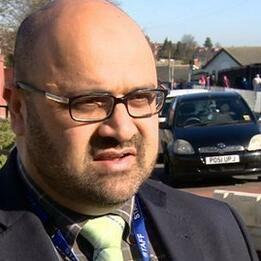 Former Chair of Governors at Park View Educational Trust Tahir Alam talks exclusively to BBC WM's Adrian Goldberg. He's been banned from having any involvement with schools but says he will challenge the decision through the legal process. BBC WM's Daz Hale tries to speak to travellers in Darlaston. Car broken into after doll left inside.